As of January 14, 2020, Microsoft will no longer be providing support or security updates for Windows 7 — apart from for those who are willing to pay for it. The company is offering up to three years of Windows 7 Extended Security Updates (ESU), and pricing has just been revealed. According to this article, Microsoft has announced that it will indeed start charging Windows 7 customers a monthly fee from January 14th 2020, if they want to keep their computers safe. To send secure e-mail, agree on a pass phrase and ensure that all parties have AxCrypt, then send your encrypted files as regular attachments. With the pass phrase cache and the double-click edit feature even many turns over e-mail is as easy as without encryption. Getting to GodMode can be a tricky venture for some; however, I came across a nice utility that gives you the ability to enable or disable God Mode in one mouse click. It is called the Windows 7 GodMode Tool. Simply download the tool to a folder, unzip the tool and double click on the Windows 7 GodMode Tool file to launch the utility. When the interface loads simply click on “Enable GodMode”. After you click on “Enable GodMode” the tool button will change to “Disable GodMode” and an icon will appear on your desktop that is labelled “GodMode”. Click on the “GodMode” icon to launch into the GodMode settings. To disable GodMode, simply run the Windows 7 GodMode Tool again and click on “Disable GodMode”. I sometimes have those days where my brain shuts down and I have a difficult time coming up with content for the blog. Yesterday was no exception, until I turned on my computer (which is running Windows 7 Home Premium) and noticed that my computer booted to the Windows 7 Welcome Screen instead of the Windows Desktop. The Windows 7 Welcome Screen is the screen you will typically see if you have your Windows sessions’ password protected or you have the computer set up for multi-users. What caused this change of events, I have not a clue; but, I had the computer originally configured to boot directly to the desktop (and bypass the Welcome Screen). As I mentioned, I was brain dead and could not for the life of me find an option on the computer to disable the Welcome Screen. Not only that, a change occurred to my computer without my blessing that raised a red flag and caused me to run a malware scan (just to be on the safe side). After getting the scan off my plate, which came up clean, I went to work researching this matter (Sources: About.com PC Support, Leateds and SevenForums). You should now see the “User Accounts” box or applet (which, by the way, provides more advanced options to managing the accounts on your PC). At the top section of the “User Accounts” box, uncheck the box next to “Users must enter a user name and password to use this computer”. Click on “apply” and the “Automatically Log On” dialog box will appear. In my case, it automatically loaded my username and I left the password entry box and confirm password entry box blank. WARNING! You Are Now Connected To The Internet! as if you were sitting right in front of it – even through firewalls. and how to stay secure. I am always on the hunt for instructional material for people that use their computers in their homes. With Windows 7, Microsoft has done a pretty good job with providing help and assistance; however, if you are not familiar with computers and Microsoft Windows, then locating these helpful tips can be a chore in itself. Also factor in the point that most people today do not have time to sit and read something that will not hold their attention span and is difficult to understand. To resolve this issue, one solution is through video instruction,. I went on the hunt and found a nice array of FREE instructional videos on learning Windows 7 Basics at a website called Mahalo. The videos are provided by Sean Hewitt, a Mahalo’s Windows expert. The videos are very nicely organized and broken down into categories with a listing of videos under each category. The videos themselves are approximately 1-4 minutes or less in duration. When you launch a video, note that below the video window there is also provided easy to understand textual and pictorial descriptions of the material being presented. You can easily move from lesson to lesson following any video you have completed. Follow this course and you will be able to use some of the more advanced Windows features. The curriculum consists of visual lessons starting at the basics and moving up to advanced. Although each lesson is taught in a manner that anyone can follow, even advanced users are guaranteed to learn some new tricks. The only thing you need for this course is to be ready to learn! There is a feature in Windows 7 that can come in quite handy in those instances where you have multiple windows open and you want to minimize those windows with the exception of the one you are working in. It is called Aero Shake. Here is how it works: Let’s say for example you have four windows open and one of those Windows is Internet Explorer. You decide you want to focus your attention on Internet Explorer and minimize the other three windows. Instead of minimizing each one separately, simply position the mouse pointer on the top of the Internet Explorer pane, hold down the left mouse button and give the mouse a shake. If you did this correctly, all the windows will minimize to the taskbar with the exception of Internet Explorer. Again, this was example (using Internet Explorer) and will work with any window you have open. Recently I cleaned the slate on my PC and performed a reinstall of my operating system (Windows 7 Home Premium). Following the installation, which went very well, I did experience a TV Screen Size issue, in the Windows Media Center, where the TV display aspect ratio was locked into the 4:3 (square display) mode and would not let me change it to the 16:9 (widescreen display) mode. After researching this on the internet, I discovered that many people have experienced this issue; especially, with various HP computers with the NVidia video cards. What I discovered is that the fix, in most cases, is really an easy fix, but is not what you think it would be . Now, this may not work in all instances; however, I felt compelled to put the fix (that worked for me) out there in the event someone else is troubled by this problem. A fix to this issue requires you to go into Windows Media Center, startup the TV and when the TV display is on your monitor screen, simply right mouse click in the middle of the display. After you right mouse click, you will see a blue band appear at the bottom of the screen. You can’t miss it. On the right side of this band you will see a right and left arrow. Click on the right arrow and the band will change with various options available. When you see the option for Zoom, stop at that point. By default, it will be on Zoom 1. Give the other zoom levels a try. I found that Zoom Level 4 perfectly aligned my display to match the size of my widescreen display (16:9 ratio). I know this fix may not be a fix for everyone who is experiencing this issue; however, in most cases by following these steps will fix the problem. The option to change the display is right under our noses; however, there is nothing readily visible to let you know this option is even there. If you are wondering how I am watching TV on my computer, then check out this article Watch Cable TV on your Computer . Here is a nice looking desktop clock for your Windows 7 or Windows Vista computer, called Horloger. The clock is available as a 32bit or 64bit install. Horloger’s settings can be modified by simply right mouse clicking on the clock. Enjoy! The book contains 16 chapters and is a guide on how to get the very best out of Windows 7 from installation to configuration and advanced operations. It includes step-by-step guides, screenshots and diagrams on every page, quick tips throughout the book and is presented in full colour. TheWindows 7 Power Users Guide contains helpful how-to’s, full colour pictures and quick tips to guide you through everything from using the Start Menu and Taskbar to backing up your documents and identifying and fixing problems. You can get your hands on the book [HERE] . You may have been hearing that Microsoft released a Service Pack update for Windows 7 (called Service Pack 1). To determine if your Windows 7 PC is ready to receive this update, click on “Start”, click on “Run”, then type “wuapp” in the dialog box and click “OK”. This will take you directly to the Windows Update applet in the Control Panel. From there you can view your update history and determine what updates are available (i.e. important updates and optional updates). The Windows 7 Service Pack 1 update will be under the “important updates”. It is from there you can launch the installation of Service Pack 1. Now, the thing to keep in mind, is that Service Pack updates often can take some time to install; therefore, do not fall for the sense that the install process is hanging. Just be patient and let the install do its’ magic. It is not uncommon for Service Packs to take over 30 minutes to install and the end result often requires a reboot. You can also download the Service Pack directly from Microsoft from [HERE] ; however, my advice is to go the Windows Update route with this’; especially if it is a home based PC. Compared to Service Pack updates for previous operating system (such as Windows XP and Vista), the Windows 7 Service Pack 1 update is a piece of cake and is important to install to smooth out any rough edges in the operating system. The good about Windows 7 is that there are very few rough edges. Another article to help you get though this service pack update can be found [HERE] . Many of the techies out there may know of this, but I am sure most non-techies do not. Hidden in Windows 7 is some FREE high definition wallpapers and themes that relate to various countries such as Australia, Canada, United Kingdom, United States, and South Africa. To get to this treasure, click on “Start”, click on “Run” and type (or copy/paste) the following in the “Run” box, then click “OK”. An Explorer window will open that displays various folders for each of the countries previously mentioned. Double click to open any of the folders and you will see a folder with the actual country name. Open that folder and you will find the hi-def wallpapers for that county. You can double click to view the wallpaper or you can right mouse click and select “set as desktop background”. You will also see a “Theme” folder that contains the theme for each country. If you double click on a theme file you will be taken to the Windows 7 Personalization where you can manage the theme. Recently, a blogging associate, Steve at Scronocolo contacted me to let me know that he had posted an article about “Windows 7 Keyboard Shortcuts”. Following that article Steve thoroughly researched and posted a second “how to” article titled; “Going Mouseless or How to Use a PC With a Keyboard”, that he asked I share with you. I did not realize that built into Windows 7 there is an option available, that that will allow you to use the numeric keypad, on your keyboard, to control the movement of the mouse pointer. This may prove helpful in the event your mouse suddenly stops working and you need to navigate around to fix problems. Reading Steve’s article, he also shares with us the most powerful and useful keyboard shortcuts that are useful in Windows 7. Pretty cool article! Take a look at it [ HERE ]. Following a recent post, I had a reader ask if I could provide some resources on where to find and how to use keyboard shortcuts. Ironically, following that comment, Steve over at Scoroncocolo had posted a very thorough article about Windows 7 Keyboard Shortcuts. If your operating system is Windows 7, then you need to take a look at some of the cool shortcuts that Steve will show you [ HERE ] . Granted, you may not have yet graduated to Windows 7 and may still be using Windows Vista or XP. For your convenience, I have listed some great resources on the keyboard shortcuts that are available to each operating system. My favorite keyboard shortcut is “F1” . You can press that key in nearly any application you are using and get an education. What is your favorite keyboard shortcut? When Windows 7 was in beta development I was following and trying to learn every tip that I possibly could learn; however, there was one tip that I completely forgot about (and I bet you may have to). If you have Windows 7 as your operating system on your computer, look at the taskbar (typically at the bottom of your screen) and on the far right side you will see a shaded rectangular block. That rectangular block is actually a button, called the Show Desktop button or what I call the Boss Button. What purpose does the Show Desktop button (or Boss Button) serve? If you have a multitude of Windows open and you want to quickly minimize all of those windows to get to and see the desktop, simply click on the Show Desktop button. If you desire to return to where you were working and open the windows back up, simply click the Show Desktop button again. Why do I call it the Boss button? An example: If you are at work and playing solitaire (or whatever other thing you are not suppose to be doing on the computer) and the Boss is coming toward your office, simply click the Show Desktop button (or Boss button) and whatever you have on your screen will instantly disappear and minimize to the taskbar. When the boss leaves, click the Boss button again and continue playing solitaire. Windows 7 (and XP and Vista) has a display utility available, called ‘Magnifier’, that you can use to make the screen more readable. I recently needed such an utility to zoom in on my HTPC (Home Theater PC) screen when browsing the internet. You can get to this utility from the Start Menu (Start>Accessories>Ease of Access) or by typing “magnify” in the “Run” box on the Start Menu or by hitting the “win+plus button” on your keyboard. You have option of various zoom levels available and you can perform a full screen zoom, a region (or lens) zoom or a docked zoom. The Windows version of the zoom tool is nice; however, my preference for the Home Theater setup is a portable app called ZoomIt. The feature I like the most about ZoomIt is the customizable hot keys. In my Home Theater setup where you need to quickly enlarge the screen, you can zoom in and zoom out, by hitting a few keys on the keyboard. I especially like the ‘LiveZoom’ feature where the screen can be magnified and the screen will move with the mouse. ZoomIt is a great visual aid and enhancement tool for computer users. You are probably looking at the title and questioning, “Did Microsoft develop another operating system called Windows 7 for Seniors?”. The answer is, NO! The title is referring to the Dummies Series of books that have been in production since 1991, when the first one published was “Dos for Dummies”. As a matter of fact I was a fan of that book and actually purchased several after that. Believe it or not, it was those few books that helped drive my interest in computers. Today there are more than 150 million of these books in print that show you how to do everything (i.e. cook, garden, manage, finances, run a business, plan a trip, exercise, eat right, etc.). If you don’t believe me, [click here] . For the sake of this article and to help out my senior friends there is a “Windows 7 for Seniors for Dummies” book that I recommend to help you navigate and learn the Windows 7 operating system. Many people I am associated with have the illusion that our children and grandchildren are the teachers of computers since it is part of their generation. Being someone that has used, taught and managed PC’s, this is far from the truth. If you want to learn the basics and have an edge over your children or grandchildren, the “Windows 7 for Seniors for Dummies” is a good place to start. I love stuff like this and wonder why I did not think of doing something like this myself. The “cool factor” to this is that I can add to, and even customize this (with other techie shortcuts). For example, I have added the “Windows 7 God Mode” folder (with shortcuts) to this collection on my PC (don’t know how it would work from the flash drive on another PC)”. Another tool for that tech toolbox… The shortcuts are bundled in a zip file and can be downloaded from [ HERE ]. You will find the download link at the bottom of the 7Tutorials web page. It’s that time of the week here at What’s On My PC… Reflected is a rundown of articles, randomly selected, from the past week that have been posted by the friends on the What’s On My PC blogroll. If you have a passion for information technology and computers, these sites are the one’s to visit. Incorporated into Windows 7 is a very nice personalization feature that allows you to customize and apply themes. With themes you can easily change the visual and sound schemes on your PC. In a nutshell, a theme includes a desktop background, a window color, sounds, and a screen saver. Themes are a combination of pictures, colors, and sounds on your computer. It includes a desktop background, a screen saver, a window border color, and a sound scheme. Some themes might also include desktop icons and mouse pointers. The neat thing about Windows 7 you can download new themes and then individually change a theme’s pictures, color, and sounds to meet your own personal tastes. To personalize your Windows 7, right mouse click on your Windows 7 desktop and select personalize. You will then be presented with a window where you can manage; and “Change the visuals and sounds on your computer”. Where is a good source for Windows 7 themes? One of the best sources I have come across is directly from Microsoft’s own Personalization Gallery [ HERE ] where there are numerous theme packs available. To use one the themes from the Personalization Gallery, simply select a theme, click download, and then open. The theme will then be applied to your desktop and added to the Personalization controls in the Control Panel. Again, to get to those controls, follow the steps above. So many different ways to track the weather on the internet these days. I came across a simplistic app, called WeatherBar, that integrates with the Windows 7 taskbar to show the weather at a specific location. Just download, unzip to a folder of your choice, and run the WeatherBar executable. Windows 7 and an internet connection is required. WeatherBar is an application that lets you use the Windows 7 taskbar to display the weather condiitons in the application icon. instead of constantly switching to the desktop to take a peek at the pinned gadget, the user can simply take a look at the taskbar, or right-click on the application icon to read the forecast. To change the settings in WeatherBar, click on the “gear” (see below) to change the update interval and whether you want the weather displayed in the metric or imperial formats. To set your location, click on the “pencil” (see below) and enter your zip code. If you are looking for a full blown weather tracking app, check out WeatherPulse [ Here ] . Welcome to this weeks’ edition of Geek Squeaks’… Each week, What’s On My PC features articles (posted within the past week) from the blogs that are associated with What’s On My PC blogroll community. If you really want to learn more about information technology and computers, then you are at the right place. I encourage you to visit (and bookmark) each of these sites. Blog about computer repair, computer recovery, computer data backup and so on. Download Free Microsoft Security Essentials – Kill Malware DEAD! iPad Launch Day is here! Is the iPad the End Of The Internet? If we were measuring time with Geek Squeaks’, I would have to say that time has rapidly passed us by. Geek Squeaks’ is a weekly production (links to other blogs) of articles that are produced by the members of the What’s On My PC blogroll community. If you are passionate about information technology and computers there is no better place to stay ahead of the curve than with this weekly collection. There is something here for everyone! What’s the Registry, Should I Clean It, and What’s the Point? If you have a passion for information technology and computers, then you need to follow the sites (blogs) listed below that are part of Geek Squeaks’. Each week I pull an article from each of those sites (blogs) to highlight their accomplishments in Geek Squeaks’ of the Week. I encourage you the preview the articles below and pay a visit to each of these sites. Real Life Photograph which Looks like Oil Painting! If you are new to computers and recently started using Windows 7, I suggest one of the first points of instruction to look at is under “Help and Support” section; titled “Learn About Windows Basic”. You can get to this section by clicking on the “Start Menu”, then on “Help and Support”, then “Learn About Windows Basics”. I have found that the vast majority of people who buy a computer are lost within a short matter of time due to their unfamiliarity with the basic parts of the computer, the navigation of the computer, and the terminology that is associated with the computer. This is one of the first places I send people to learn about their PC and to familiarize them with Help & Support. It is very important to learn more about the computer other than turning it on/off and getting on the internet. Learning the basics will make you more knowledgeable and will make your computer experience a comfortable and safe experience. I run into people on a daily basis, who have been using a computer for years and one of my first tests of their knowledge is to ask them something simple such as “How many icons do you see on the taskbar?”. Nearly every time, the response is “Where’s that? or “What is the taskbar?”. The “Learn About Windows Basics” help section in Windows 7 does a great job (in short time) by explaining the basics of the computer and the Windows operating system. Windows Basics topics are designed to introduce you to personal computing and the Windows operating system. Whether you’re a beginning computer user or someone with experience using a previous version of Windows, these topics will help you understand the tasks and tools you need to use your computer successfully. This FREE Ebook is in the PDF and XPS formats. It features over 200 keyboard shortcuts that are available in Windows 7 and its’ default programs. If you are unfamiliar with keyboard shortcuts, please let me briefly explain. Instead of using the mouse to typically perform a specific function, you press 2 or more (assigned) keys on your keyboard (in combination) to perform the function. Believe it or not, keyboard shortcuts can save a lot of time and effort in comparison to the mouse. This (very impressive) eBook was professionally crafted, in its’ entirety, by Nitin Agarwal via The Windows Club Forum. For the everyday computer user and computer tech, this eBook is an excellent “must have” reference guide and learning tool. This eBook comprises of more than 200 keyboard shortcuts containing almost all the keyboard shortcuts that are available in Windows 7 and its default programs like Paint, WordPad, MS Office, Calculator, Help, Media Player, Media Center, Windows Journal, Internet Explorer, etc. Geek Squeaks’ are links to articles, that are presented weekly, here on the blog to give recognition to the author’s who are members of the What’s On My PC blogroll community. The articles you see were randomly selected and were recently created within the past (7)-seven days. I encourage you support these blogs (and sites) by becoming a regular visitor. If you are a person who has a passion (and obsession) for information technology and computers; then, you need to follow Geek Squeaks’. Geek Squeaks’ is a weekly roundup of articles that have been produced by the bloggers (and site owners) who are associated with the What’s On My PC blogroll community. I endorse each one of these sites and encourage you to visit and bookmark them! Would Jesus be Blogging Today? Another way to get SoftMaker Office 2008 free! Backup your Online Accounts using Backupify! The Ribbon Interface, love it or hate it? A week has past and Geek Squeaks’ are here at last… Be sure to check out these articles posted by bloggers (everyday people like you and me) who are members of the What’s On My PC blogroll community. Geek Squeaks’ are recent articles (posted within the past 7 days). There is no order (or method to my madness) in the selection process of articles; all are randomly selected AND all are squeaks from a very elite group of geeks. Have you ever been frustrated with navigating the operating system in an effort to find a specific function or setting? You know it is there, but just can’t seem to remember where exactly you saw it and how you got there. With the recent public release of Windows 7 I am sure many of you are finding yourselves in that type of situation. 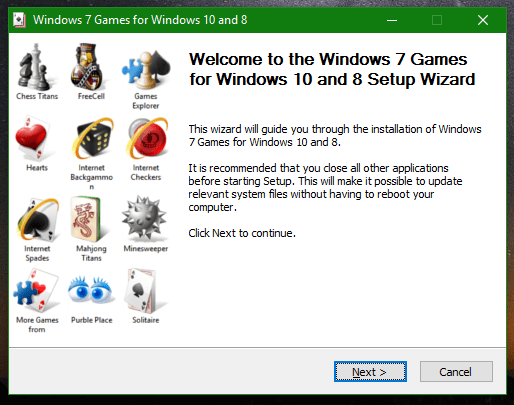 Today I ran across a program, called Windows 7 In A Box, that will help you navigate and actually learn many of the most common settings (and functions) that are native to the Windows 7 operating system. The really cool factor to Windows 7 In A Box is that it is a portable app and can be carried with you (in your tech toolbox) on your flash drive. I can see myself using this app to quickly assist other Windows 7 client users without having to go through the navigation process of locating specific settings and functions. Windows 7 In A Box is one of those apps that basically will save you a whole lot of mouse clicks to get where you want to go.